Glacier Point is probably one of the most iconic view points in Yosemite, and as a result, it is also one of the most popular spot in the park. During the summer, visitors can simply just drive up to this spot, so this area can easily get very crowded. During the winter, Glacier Point road is closed, which means no easy access to this iconic view point, but for those who are willing to put in the extra effort, Glacier Point can still be enjoyed, and even better, without the crowds! As long as you are willing to hike ~10 miles with around 3200 feet of elevation gain, I think it is so worth it! 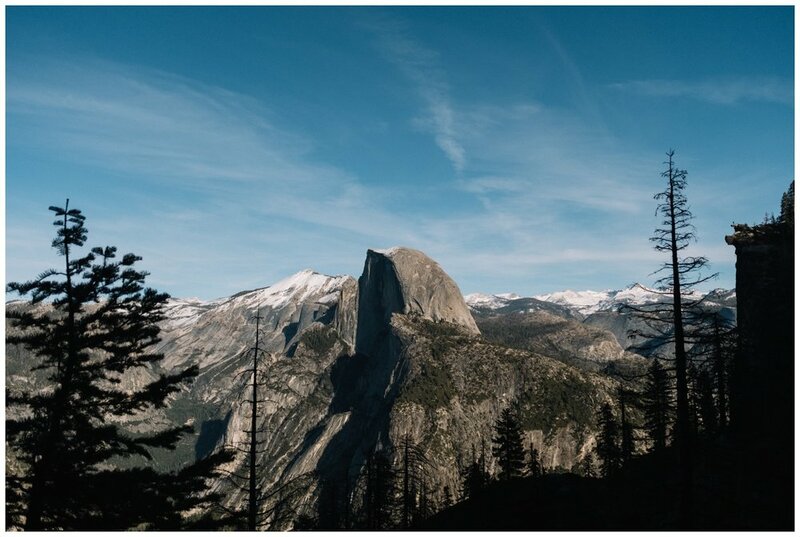 This hike can be done as a day hike, but this past weekend my friends and I did this hike as a backpacking trip, and we added a few additional miles to Sentinel Dome, another iconic view point with a 360 view of Yosemite. I tend to prefer backpacking to day hikes because you get to enjoy the sunset and sunrise at your destination, which are my favorite times of the day! Also I just love watching the stars and sleeping out in the wild :) Backpacking in Yosemite requires a wilderness permit, which in the winter is super easy to get, no reservations required, just walk into the visitor center and ask for a permit. It is also completely FREE! Day 1: Arrive in Yosemite Valley and pick up wilderness permit from visitor center. Start at the Four Mile Trailhead by the Swinging Bridge picnic area. Hike 4.6 miles to Glacier Point. 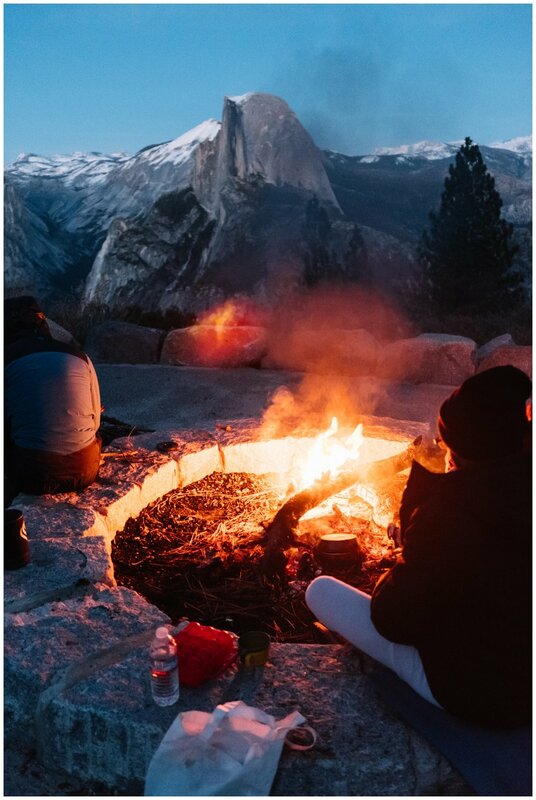 Set up camp and enjoy dinner at the Glacier Point amphitheater over campfire. Day 2: Hike 1.6 miles to Sentinel Dome for sunrise. This part of the hike can be icy and snowy during the winter, microspikes on boots can really help with additional traction. 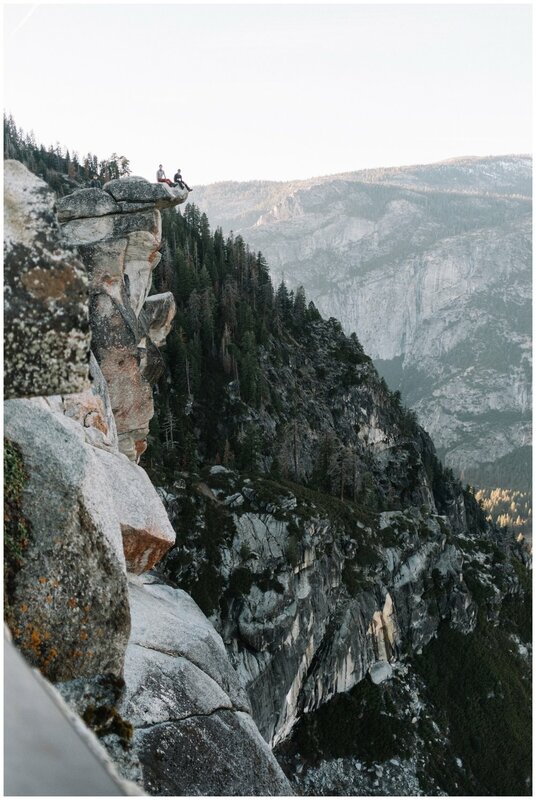 Enjoy sunrise and breakfast at Sentinel Dome. Hike back to Four Mile Trailhead.